Discover the Outlet vs. Retail Difference! At Sleep City LoneStar Mattress Outlet, we sell the same luxurious name brand beds as the retail stores, but without the minimum pricing requirements mandated by the manufacturers. Instead, we typically offer overstock quantities or minor freight blemished supplies that are identical to the beds that you’d expect to pay twice as much for at a retail store. Typically, outlet stores are the standard for shopping for anything from shoes to kitchenware, but what about mattress shopping? Sleep City LoneStar Mattress Outlet recognizes that the mattress world was long overdue for a true outlet shopping experience, which is why we became the only place in town for true liquidation prices on the name brand beds you want. We’ve negotiated exclusive contracts with several top mattress factories across the nation. These manufacturers will regularly have overstock and minorly freight-blemished inventory that is otherwise impeccable, but still can’t be sold at retail prices. While this comes at a significant loss to the manufacturer, it also creates a tremendous savings opportunity that we can then pass to you. The result is an entire range of brand name mattresses which we have the exclusive rights. How do we achieve prices that are so much lower than the competition? Our liquidation bedding is purchased by the trailer load from major manufacturers around the country. These mattresses are being liquidated for numerous reasons including closeouts due to name changes, fabric changes, year-end model changes, floor model swap outs, and freight blemished mattresses that may have been removed from their factory sealed bags. Our liquidation line also includes cancelled orders from both wholesale dealers and retail customers. Also, we make special multi-truck purchases when opportunities present themselves which is often during slow times of the year for mattress manufacturers. These manufacturers may need to liquidate certain fabrics or hit certain sales goals for the quarter, which makes it possible for us to make these purchases at a huge discount from normal wholesale. This, in turn, allows us to offer true wholesale pricing or even below wholesale pricing to you…our customer. What type of warranty do your mattresses come with? We offer an extra free extended 5 year warranty on every mattress and adjustable base! Our inventory includes brand new top of the line mattresses and adjustable bases with 15 to 25 year warranties as well as some slightly imperfect outlet mattresses that include a minimum 5-year warranty. As a service to you, SleepCity will support the manufacturer’s warranty on your bed. If you need to submit a claim, we will serve as your advocate during the warranty process. What is your return policy? Do you offer a sleep trial period? We offer a 120-night Comfort Guarantee for every mattress purchased and want you to have the best sleep of your life. At SleepCity, we understand buying a mattress isn’t something you do every day. There are questions to be asked, prices, sizes and firmness levels to consider. Other than your home, there’s not another purchase you’ll spend more time with than your mattress. If for any reason your not comfortable with the mattress you buy from us, you have the 120 days to exchange it for one you will love! * This guarantee applies to the mattress and foundation, but does not include pillows, linens or adjustable bases. All of our store locations offer delivery service. Please inquire at your particular store for rates and appointments. What types of mattresses and bases do you sell? 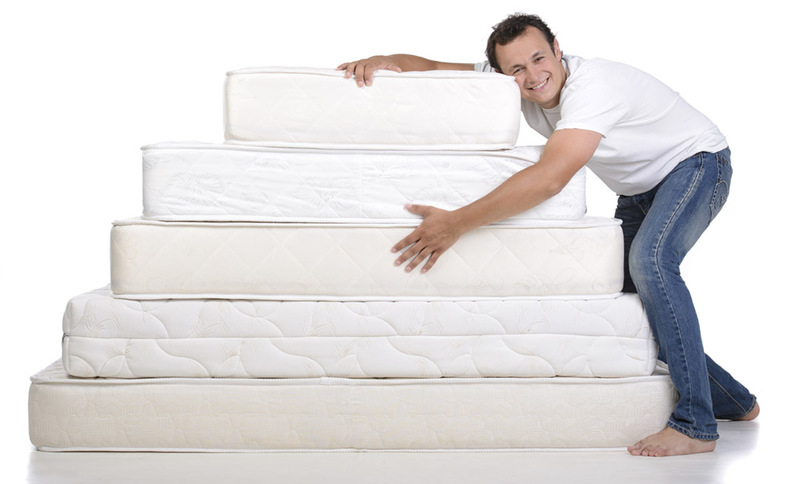 We sell a comprehensive range of mattresses and bases. This includes innerspring, hybrid, gel foam, latex foam, and adjustable bases. “If your looking for new mattresses and don’t visit LoneStar first, your doing yourself and your bank account a huge injustice.” – Darrell K.
“Great prices. Got exactly what I wanted without any high-pressure sales or haggling. The delivery and set up was prompt and professional. I would definitely shop here again or recommend to a friend.” – Stephanie P.